Fort Worth ban still in effect for watering between 10 a.m. and 6 p.m.
Fort Worth and 25 other cities in the Tarrant Regional Water District are ending restrictions that limited lawn watering to twice a week for residents and businesses. The TRWD said its water supply levels are at 97 percent. It notified its wholesale customers -- as well as the Trinity River Authority -- that it's lifting the water restrictions Friday. The water restrictions no longer apply to anyone living within Tarrant County limits which includes the cities of Fort Worth, Arlington, Mansfield, Burleson, Crowley, DFW Airport, Dalworthington Gardens, Edgecliff Village, Everman, Forest Hill, Grand Prairie, Haltom City, Haslet, Hurst, Keller, Kennedale, Lake Worth, Northlake, North Richland Hills, Richland Hills, Roanoke, Saginaw, Southlake, Trophy Club, Westlake, Westover Hills, Westworth Village and White Settlement. But Fort Worth and Arlington officials said the watering ban is still in effect for daily watering between 10 a.m. and 6 p.m. for automatic irrigation systems. The restrictions started in August amid the severe Texas drought. It was the first time Fort Worth implemented such restrictions because of declining water supply levels. 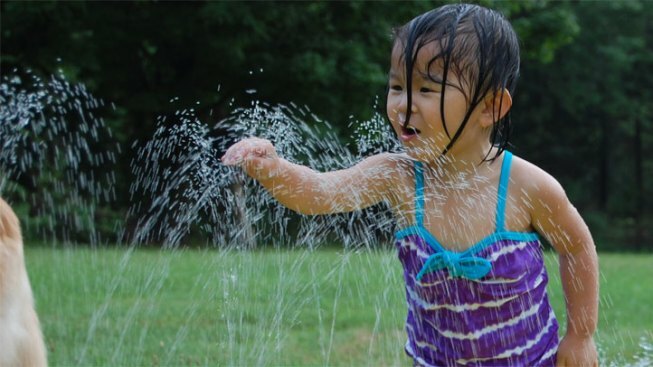 Officials are still urging residents and businesses to be efficient with outdoor watering to reduce peak demands in the summer and prolong the water supply. Drought restrictions will return when lake levels reach 75 percent -- and Fort Worth officials said they expect that to happen.